I guess today ended up being Vintage Rolex Monday, which may be a good idea!?! 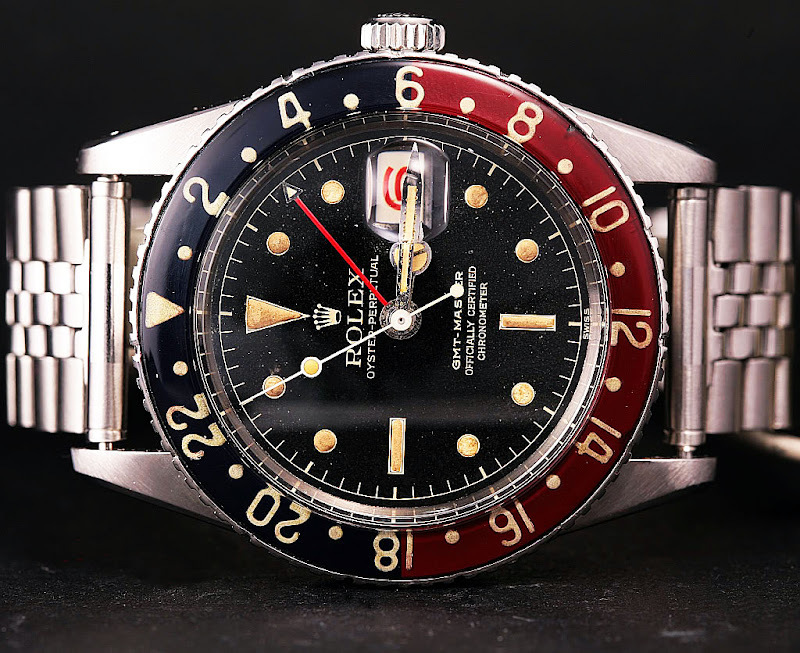 What better way to start your week off than with some cool vintage Rolex shots!?! My pal, Stefano from Italy sent in this stunning photo of an original GMT with the translucent clear, see through bezel. We looked at a similar GMT Reference 6542 from the 1950s last Thursday, and you if you go back to the post, you can see what one of these bezels look like up really close. I believe this watch is all original and notice the red date and that the 24-hour hand has a tiny arrow and the lack of a depth designation on the rail dial. Also notice the way the Jubilee bracelet attaches to the watch without full springbar and lug coverage as well as the lack of crown guards. Thanks for sharing this great image Stefano!! !